Robo-advisors first set their stake in the ground as “disruptors” of traditional financial advisors, claim that technology alone could be used to deliver asset allocation solutions even to small accounts at an AUM fee of just 0.25%. In response, a number of industry commentators, and many financial advisors themselves, began to raise the question of whether the traditional 1% AUM fee would inevitably have to be cut to compete. Yet the latest industry benchmarking data shows no sign at all that advisors are cutting their AUM fees to compete against robo-advisors. In part, this may simply be because the consumers who work with robo-advisors are more likely to be Do-It-Yourselfers anyway, and not the Delegators who are typically engaged with advisors. More substantively, though, the reality is that robo-advisors provide a very limited scope of “advice”, essentially focused on the construction of an asset-allocated portfolio based on the investor’s time horizon. By contrast, advisors are increasingly focused on a wider range of comprehensive financial planning services. Which means the path to successful competition for financial advisory firms is not to cut their fees to try to “out-robo a robo-advisor” (which isn’t likely to succeed when robos are not even profitable themselves! ), but instead to deepen their financial planning services as the “un-commoditizer” and differentiator that allows advisors to defend their 1% AUM fee as is. Yet given that many financial advisors don’t actually offer very deep financial planning services now, the addition of new and deeper financial planning services will require hiring more staff and overhead. Which in turn, this suggests that in the coming years, the real growing pressure on advisory firms may not be cutting fees to compete against robo-advisor pricing head-to-head, but declining profit margins as advisors reinvest into the value-added financial planning services necessary to defend their existing 1% AUM fee! Robo-Advisor Fee Disruption Of The Typical Advisor AUM Fee Business Model? When the so-called “robo-advisor” platforms first launched 4-5 years ago, they declared themselves online investment advice solutions that would “democratize private wealth management” by leveraging technology to do what financial advisors do for just a fraction of the cost. Recognizing the potential for software to systematically implement asset-allocated portfolios very efficiently across a large number of clients – even those with relatively small account balances – companies like Wealthfront launched in late 2011 with a 0.25% AUM fee and Betterment followed suit months later in early 2012 by lowering its own fees to a 0.15% – 0.35% range. Citing parallels to the rise of TurboTax and its adverse impact on CPAs doing tax preparation (or the more extreme example of what online travel sites did to the human travel agent industry), the expectation (at least from the robo-advisors themselves) was that consumers would flock to their new direct-to-consumer offerings charging about a quarter of the “typical” 1% AUM fee of human advisors to deliver the “same” portfolio solutions. The robo-advisors would start with the underserved segments like lower-account-balance Millennials that the industry didn’t seem to want anyway, and as they grew expand into other (more affluent) markets over time. It was a classic technology attempt at market disruption. 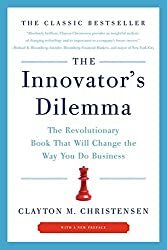 And notably, a key aspect of this kind of disruptive innovation, as defined in Clay Christensen’s famous book “The Innovator’s Dilemma”, is that it works primarily because the existing industry incumbent’s can’t figure out how to serve the new market segment profitably and successfully in the first place. This allows the new player time to gain momentum and scale, and form a (client/customer) base that lets the company grow to the point that it eventually competes head-to-head against incumbents on their own home turf, too. In other words, a key distinction of true disruption is that the disruptive company is so effective with its business model in a new market segment that existing players simply can’t compete, even if they wanted to, and have no choice but to let the disruptor in the door, and then face the consequences later. In the context of robo-advisors threatening traditional advisors, the disruptive threat quickly raised the question of whether the AUM model would even remain viable for financial advisors or if it was “toast”, or if advisors instead would inevitably be forced to unbundle their financial planning fees, or if the future of financial advisors would be migrating to new and different business models (e.g., flat retainer models in lieu of the AUM model) just to survive. As noted above, an inherent aspect of true disruption is that the existing players generally can’t compete with the new disruptor, because it’s not financially viable to serve the market that the disruptor is serving in the first place. And to a large extent, that appears to be the case when it comes to robo-advisors competing with human advisors. Virtually no human advisory firm built today would be capable of operating profitably at a 0.25% AUM fee in the first place, especially serving Millennials with a typical account balance of just a few thousand dollars. Even trying to compete at that price point would be business suicide for most. Existing advisors today, with their existing technology and staff infrastructure, will not be capable of out-robo’ing a robo-advisor. It’s business suicide for financial advisors to try to out-robo a robo-advisor. In point of fact, though, it’s not even clear that robo-advisors are actually “succeeding” with their 0.25% AUM fees, either! When the companies raised their last rounds of venture capital, they were still tens of billions of AUM short of actually justifying their private market valuations. In fact, a more recent study by Morningstar found that robo-advisors may need as much as 20 times their current asset levels just to break even. Furthermore, it’s not entirely clear whether robo-advisors will ever actually reach their breakeven point, because the real challenge in growing assets under management is not scaling the technology to serve and implement the clients, but scaling up the distribution and scaling down the client acquisition costs to get the volume of clients in the first place. After all, the entire origin of the financial advisor’s 1% AUM fee itself is not actually because the advisor needed to charge 1% to give advice, but because asset management firms paid 1% as a levelized commission distribution cost to financial advisors to gather their own assets! Which means the real key for robo-advisors to succeed in disruption is not to drive down the cost to design and implement portfolios – which wasn’t really the cost that led advisors to charge a 1% AUM fee in the first place – but to scale the distribution of asset management services at a lower price point (a disruption battle the robo-advisors did not come prepared to fight!). Otherwise, robo-advisors turn out to be nothing more than a solution that can’t compete against existing players because the robo-advisors can’t afford to out-market the incumbents and build the brand necessary to attract a sufficient number of clients. In other words, it’s entirely possible that in the end, robo-advisors aren’t actually the disruptors they expected to be at all, and so underestimated the cost to acquire clients that their business models are fundamentally broken, without enough lifetime client value at their price point to overcome the cost to acquire those clients in the first place. Which means it certainly doesn’t make sense for advisors who are profitable to cut their fees to compete against robo-advisor companies that are ultimately doomed to failure anyway! Not to mention the fact that robo-advisors and human advisors aren’t really serving the same market with the same solutions, anyway! An important aspect of understanding the consumer landscape for financial services is the fact that not all consumers are the same regarding the willingness to delegate authority (e.g., by relying upon advisors), and their desire to spend time gathering information. Forrester Research uses these distinctions to segment consumers into four separate groups. Given this segmentation, it becomes clear that advisors will really only ever work with a subset of consumers – those on the right, who are willing to consider engage outside experts in the first place. Classically, advisors work with “Delegators” who are willing to delegate to them fully and don’t even want to gather information themselves, and some advisors work in varying degrees with “Validators” who may not fully delegate authority but at least want the input of a trusted expert to affirm their own information-gathering process. By contrast, direct-to-consumer brands like Charles Schwab typically work with the self-directed “Do-It-Yourselfer” who was not realistically going to engage with an advisor anyway. And of course, Avoiders typically just don’t engage with the financial services industry at all… they avoid. The key point in this framing is that any companies serving the Self-Directed and Avoiders groups aren’t really in competition with financial advisors, because the consumers on the left typically won’t ever engage with advisors anyway! Of course, people may at some point decide that they’re tired of doing it themselves and decide to engage an advisor to delegate – or become frustrated with bad advisors and choose to do it themselves – but as long as someone is or isn’t ready to delegate at a particular point in time, they are either on one side of the dividing line or the other, and won’t likely engage with companies on the other side of the line. The reason why all of this matters is that robo-advisor solutions are substantively a Self-Directed solution, requiring consumers to do their own research and analysis to select the robo-advisor solution that can solve their needs, and remain at least partially engaged in the process going forward. Of course, the robo-advisor platforms seek to provide some automation and simplicity to reduce the burden of ongoing portfolio maintenance, but the point remains that their pre-packaged productized solution will primarily serve those who have the wherewithal and inclination to seek them out (in a self-directed fashion) in the first place… and perhaps pick up a few avoiders who find the offering simple enough to use despite their avoider tendencies. Robo-advisors serving Do-It-Yourselfers don’t compete with Financial Advisors serving Delegators! Which ultimately means that it makes little sense for financial advisors working with Delegators to cut fees to match robo-advisors serving Do-It-Yourselfers – because they’re not actually competing for the same clients anyway! In addition to the fact that human financial advisors serve a different type of clientele than robo-advisors – Delegators versus Do-It-Yourselfers – the reality is that human advisors also provide a different service than robo-advisors. While the latter are typically limited in scope to just crafting an asset-allocated portfolio based on time horizon, the former provide a much wider range of comprehensive personal financial planning advice. Of course, the caveat is that not all financial advisors really do provide comprehensive personal financial planning advice. Estimates from Cerulli are that only a little more than half of “financial advisors” self-identify as being a financial-planning-focused practice, and of those only 38% appear to actually be delivering comprehensive financial planning services. From the perspective of human advisors competing against robo-advisors, what this suggests is that a large subset of financial advisors might at least find themselves price-compared to robo-advisors, because they really are providing substantively similar services. On the other hand, those human advisors who are providing comprehensive financial planning services are offering a solution so substantively different, that it’s difficult to price-compare their offering to robo-advisors. Which is actually the goal. In other words, to the extent that financial advisors are actually providing financial planning services to clients (in addition to asset management support), they truly face virtually little, if any, competition from robo-advisors, as they serve a different clientele (Delegators vs Do-It-Yourselfers) with a different service (comprehensive financial planning vs just automated investment allocations). Which means financial planning is increasingly becoming the “un-commoditizer” to avoid the “threat” of robo-advisors (or more generally, the ongoing commoditization of basic asset allocation services thanks to technology). Eroding Profit Margins To Compete On Value-Added Gamma? What all of this ultimately means is that the natural evolution for financial advisors to compete with robo-advisors is not to compete on price – a war the human advisors cannot realistically win, because it’s not even clear that robo-advisors can succeed at their current price point. Instead, they must compete on value and differentiation – offering comprehensive financial planning services, ideally focused into a differentiated niche. In other words, advisors won’t likely aim to cut fees to compete with robo-advisors, and instead should try to provide greater value-add to defend their existing (1% or whatever) AUM fee, justifying their cost by delivering gamma (financial-planning-based enhancements to wealth) rather than (just) alpha. To survive the robo threat of commoditization, financial advisors must compete on value, not price. Of course, delivering financial planning requires advisors with more training, education, and experience, than “just” a relationship manager who just does standalone portfolio reviews with clients. Comprehensive financial planning is a more complex service to deliver, with significantly more work in between meetings, from supporting clients as their financial situation changes, to preparing financial planning analyses and projections. In turn, this is why larger financial planning firms typically build out a tiered service infrastructure with paraplanners, associate advisors, and lead financial planners. Which means ultimately, firms adding or expanding their financial planning offering for clients will need to spend more on a growing range of staff infrastructure and support, at a non-trivial cost, in order to defend their 1% AUM fee with value-added services. And some early industry data suggests that advisory firms may already be shifting in this manner. The latest benchmarking study from Investment News found that the average revenue per advisory firm professional declined by almost 15% in the past year, despite continued growth of client assets, as advisory firms are increasingly hiring more professional staff to serve their clients. Overall, the median revenue per advisor professional is up barely 5% cumulatively since 2010, despite the fact that rising markets have helped to lift the median revenue per client up almost 18% from $5,600 in 2010 to $6,634 in 2014. In other words, as clients pay more to advisory firms in fees, the firms are using a disproportionate amount of that additional revenue to pay for more financial planners to service those clients and differentiate from robo-advisors. Thus, more revenue from clients is being ‘diluted’ across more professionals in the firm who are serving those clients. At the same time, despite the growing robo presence, advisory fees have barely budged in 5 years, with a median revenue yield on advisor AUM of 0.78% in 2010, 0.77% in 2013, and 0.75% in 2014, in an environment where the “typical” robo-advisor has set the price point for pure investment management services at 0.25%. Notably, while there is a very slight decline in AUM fees over the past 5 years, this is most likely attributable not to advisors cutting fees to match robo-advisors, but to clients hitting reduced fee breakpoints at higher AUM levels given the bull market over this time period! Fortunately for advisory firm owners, at this point advisory firms have not experienced a hit to their operating profit margins, which are currently running at post-2008 highs, despite the hiring of staff and deepening of services. Between the growth in markets lifting average revenue per client – along with better leveraging technology themselves to control overhead costs – advisory firms have even managed to grow profit margins so far, even as they improve their differentiation. Advisors aren’t cutting fees to compete, but adding value to defend existing AUM fees. Nonetheless, the question looms as to how deep advisory firms will have to go in order to stay ahead of the commoditizing forces impacting the investment world, and continue to contribute a unique value-add beyond what technology can accomplish alone. How badly will profit margins eventually take a hit as advisory firms continue to staff up in the face of an inevitable bear market that will someday come? And will competition from even-larger human advice solution platforms, from Vanguard Personal Advisor Services to Schwab Private Client, take an even more severe toll on advisors than the robos? Ultimately, it remains to be seen quite how the trend will play out. But so far, it’s looking increasingly like the path to survival for advisors is about overcoming the crisis of differentiation, not engaging in a commoditized price war against technology companies they won’t beat. Which means that to the extent that advisory firms do begin to struggle, it’s likely to hit the bottom line first, not the top. So what do you think? Have you been considering whether to change your pricing or restructure your fees to compete with robo-advisors? Do you think robo-advisors will end out “killing” the AUM fee altogether? Or will advisors simply provide more value-add services to compete and retain the classic 1% AUM fee?